Keep your Angora rabbit in tip top shape with any of our grooming tools and accessories. Doggyman soft slicker brush (small), wide tooth comb, extra long soft pin brush, ball-tip scissors, and nail clippers. 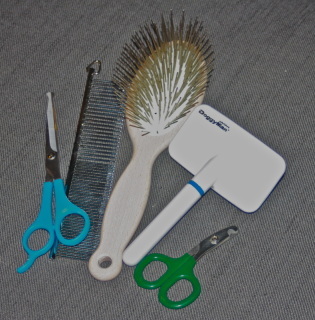 Everything you need to begin basic grooming your Angora rabbit. 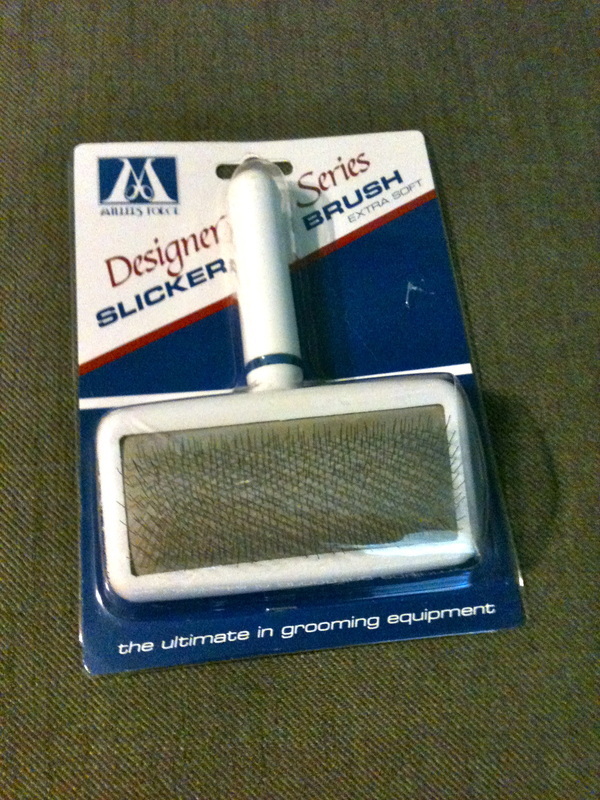 Doggyman Soft Slicker Brush - Small Smaller sized version of Doggymans soft slicker brush. 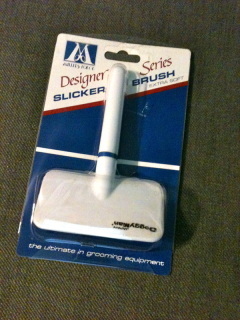 This is my favorite size slicker. It's great for getting into those leg and underarm areas. Xtra Long Soft Pin Brush This high quality professional pin brush has extra long pins. 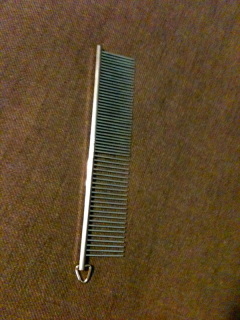 Originally $14.00 On sale for $10.00!! 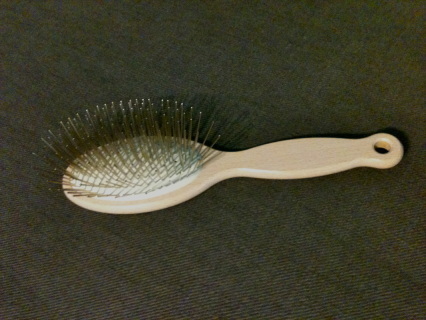 Doggyman's premium soft slicker brush is extra gentle for your rabbit's skin. 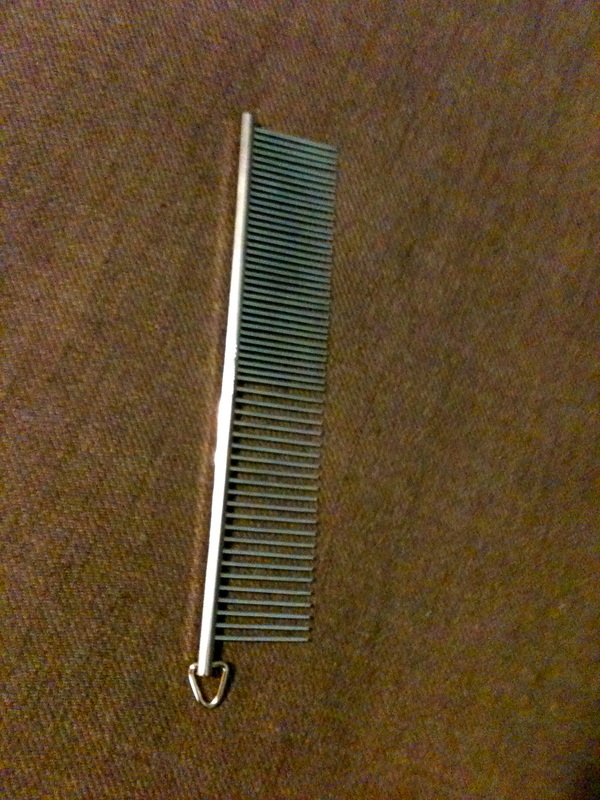 Wide Tooth Greyhound Style Comb A wide toothed comb for gentle combing and identifying mats.